Home > > Vehicles > 28775 > 2016 Toyota 4Runner SOLD!!! 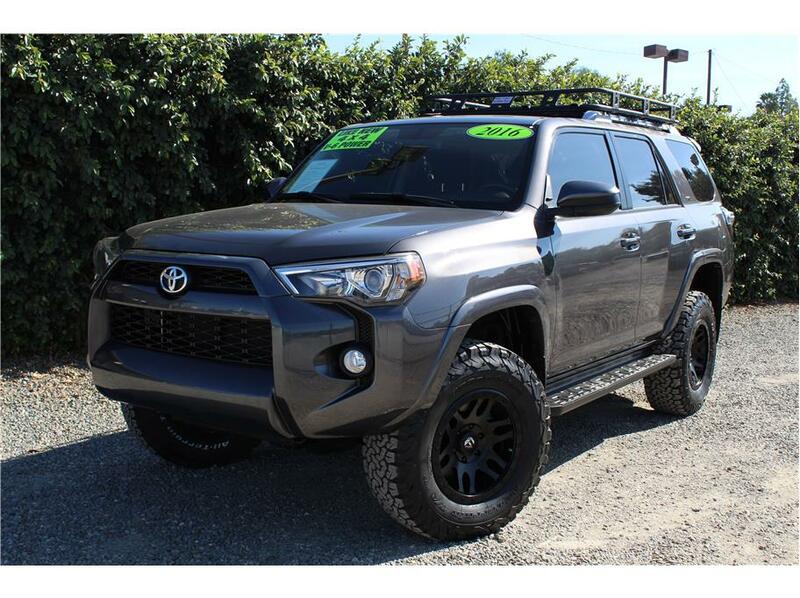 This 2016 Toyota 4Runner SR5 4×4 SUV has the V6 4.0L motor, an automatic transmission and only 29k original miles . There has only been one owner is a brand-new Icon Stage one lift with 17inch Fuel Recoil Wheels that have BFG ATs mounted on them, a new heavy duty roof rack for all the off-road adventures. From the factory this Toyota has a fold flat third row seat, navigation, back up camera, power windows, power door locks, power heated mirrors, keyless entry, power rear sliding window, air conditioning, Bluetooth, and USB input. This 4Runner just went through a complete 151 point inspection by a licensed repair shop and just got a brand new oil change along with the modifications. We are a dealership that specializes in modifying off road vehicles. If you are looking for a off-road vehicle that can double as a spacious SUV, then this is your vehicle.